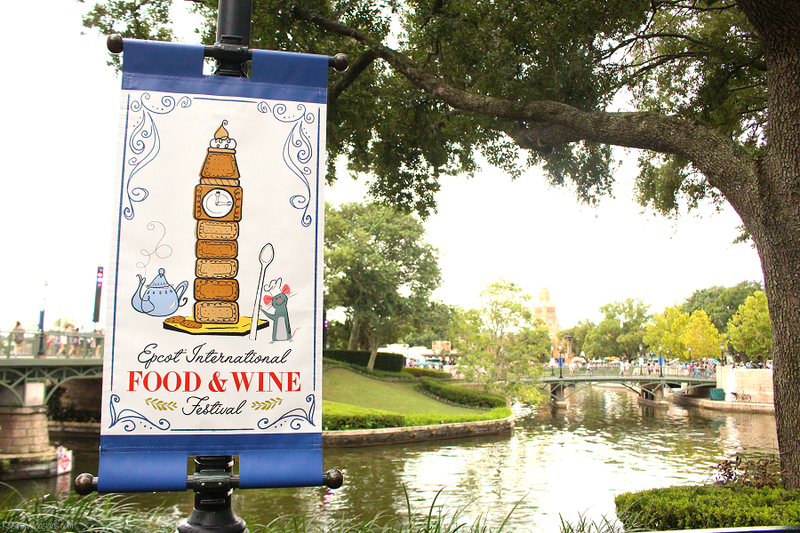 The 2018 Epcot International Food and Wine Festival is back and more kid-friendly than ever! 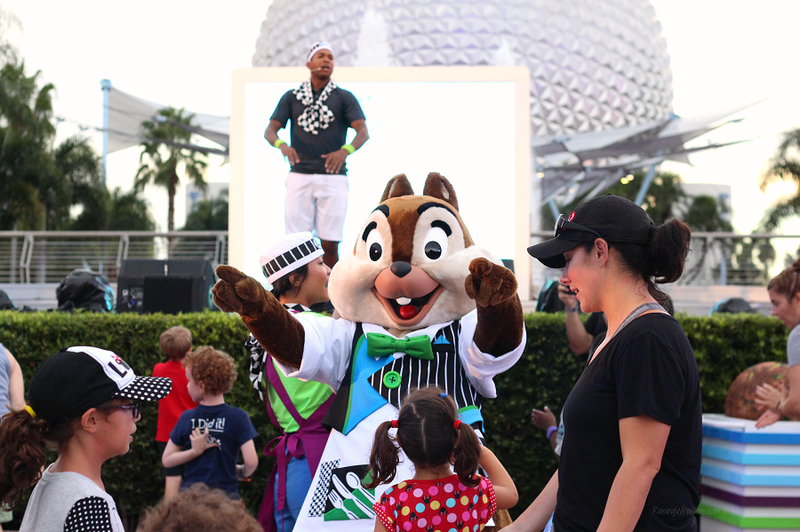 Grab your list of over 50 Epcot Food and Wine Festival Things to Do for Kids. This post is sponsored by Walt Disney World. All magical opinions are my own. They want to go on rides, but you want to sip and stroll. It must be that time of year again! The 2018 Epcot International Food and Festival has arrived and this year Walt Disney World added tons of new activities that are perfect for families, especially kids. So if you’re looking for ways to keep those kids happy in the food lines (ahem, pick me! 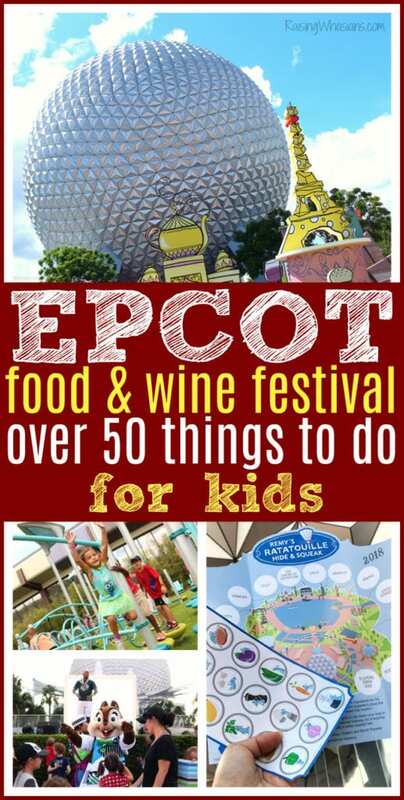 ), here are over 50 Epcot Food and Wine Festival Things to Do for Kids. Parents, now you can have your cake and definitely eat it too! How did we conquer the day at the 2018 Epcot International Food and Wine Festival with two kids in tow? With lots of FUN and new activities, just for them! 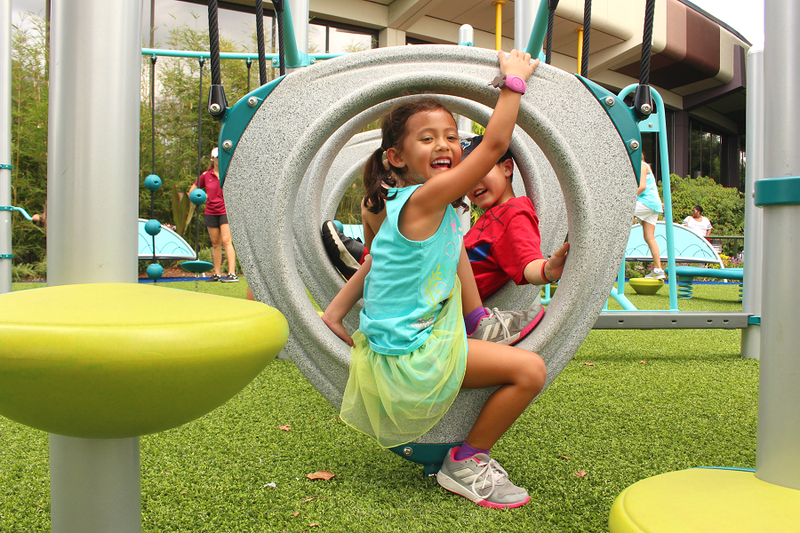 See everything from new playground to kid-friendly demonstrations to chocolate sculpture creations to our scavenger hunt! 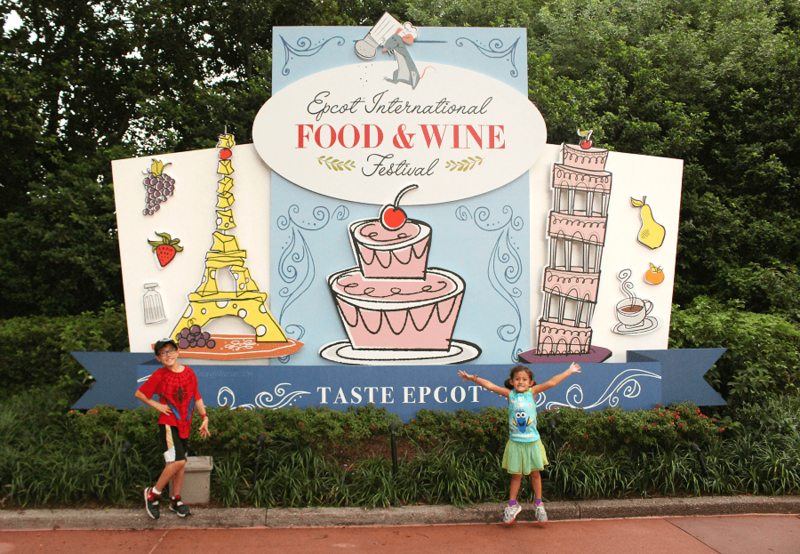 2018 is the year for kids at the Epcot International Food & Wine Festival! 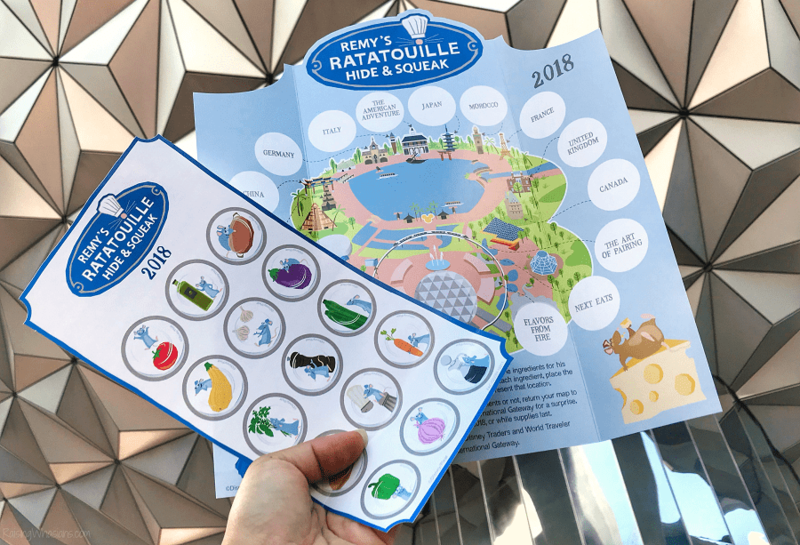 Stepping up the kid-friendly eats and activities, this list of 12 Epcot Food and Wine Festival Things to Do for Kids is sure to wow the littlest adventurers! Meet the Chefs – Have a budding little chef in your kitchen? Make plans to see the 2018 celebrity chefs and personalities during live cooking demonstrations, and brunch meet and greets. The 2018 Chef Lineup includes favorites like John Rivers, Masaharu Morimoto, Buddy Valastro, Richard Blais, Brian Collaro, Tiffani Thiessen and more. Attend Book Signings and Celebrity Meet & Greets – Meet your favorite foodie author and personalities during the festival too, snagging photos and autographs! 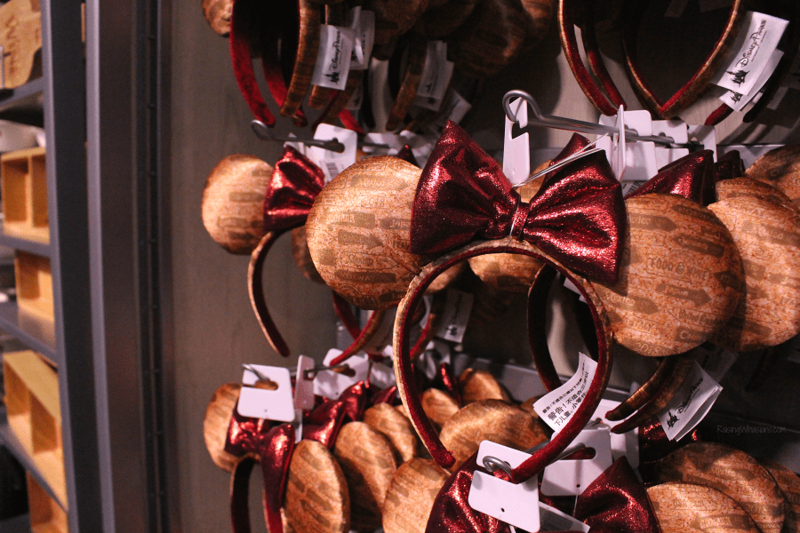 Shop for New 2018 Food and Wine Festival Merchandise – From new trading pins to fancy ears, your kids will love shopping for the newest festival merchandise! Head to the Festival Center for lots of exclusive finds (TIP: be sure to check out the booths around the World Showcase too for more shopping finds). I did say over 50, right? Epcot definitely keeps kids entertained beyond just the new Food and Wine Festival activities. Whether you’re new to Disney or a veteran, take advantage of this huge list of Epcot Food and Wine Festival Things to Do for Kids too. 13 FREE World Showcase Entertainment Venues – From amazing bands to street performers and dancers, the World Showcase knows how to bring cultures to life! Don’t miss out on the 13 different free entertainment venues around the countries. Our kid favorites include France’s Serveur Amusant chair stacking performance, China’s Jeweled Dragon Acrobats, Japan’s Matsuriza drummers, Germany’s hilarious percussion band, and Mexico’s Mariachi band. The Germany Train Set – I had to put this in for my son. It’s definitely one of his favorite things to do at Epcot. A huge train track set with multiple trains, buildings, people and scenery, it’s a great place to stop and rest. 14 Disney Character Greetings – There are 14 places to see Disney characters around Epcot, most of them throughout the World Showcase. Be sure to take time to get photos, autographs and memories with some of your Disney favorites! 4 World Showcase Films – Love a good country film? Get your 360 degrees worth at China and Canada. There are also films at American Adventure and France! 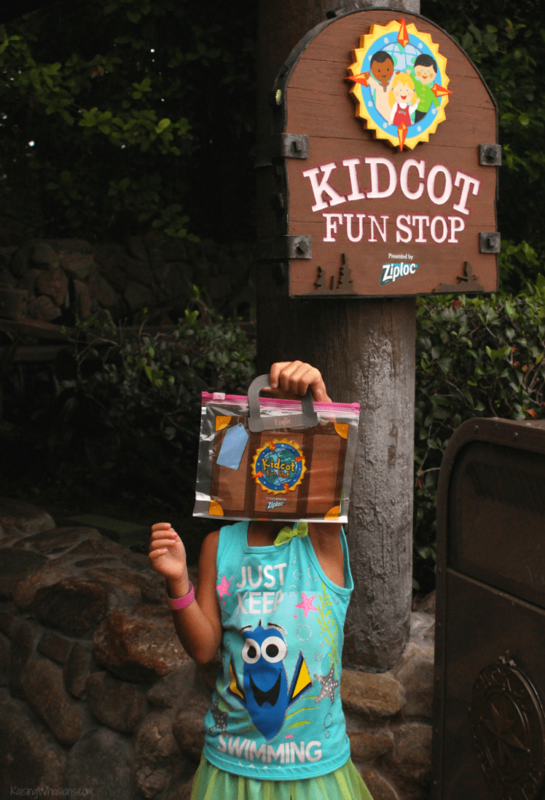 KidCot Fun Stops – Visiting the World Showcase already? 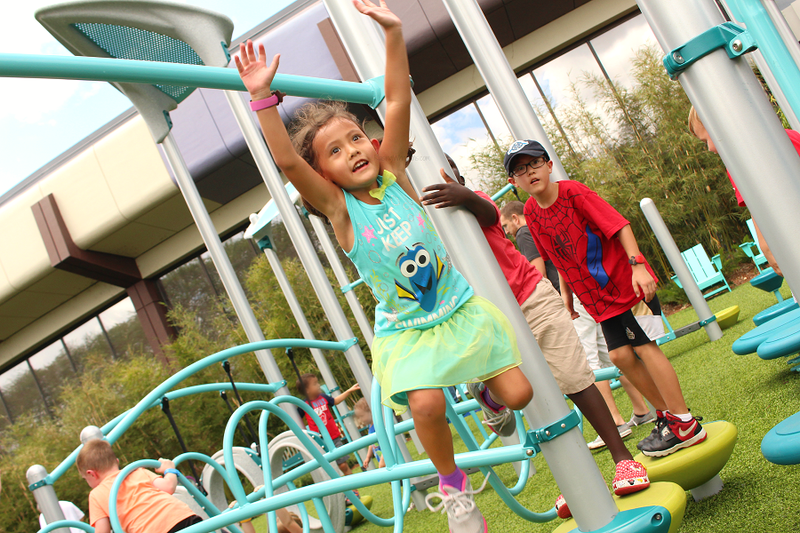 Don’t forget the KidCot Fun Stops! 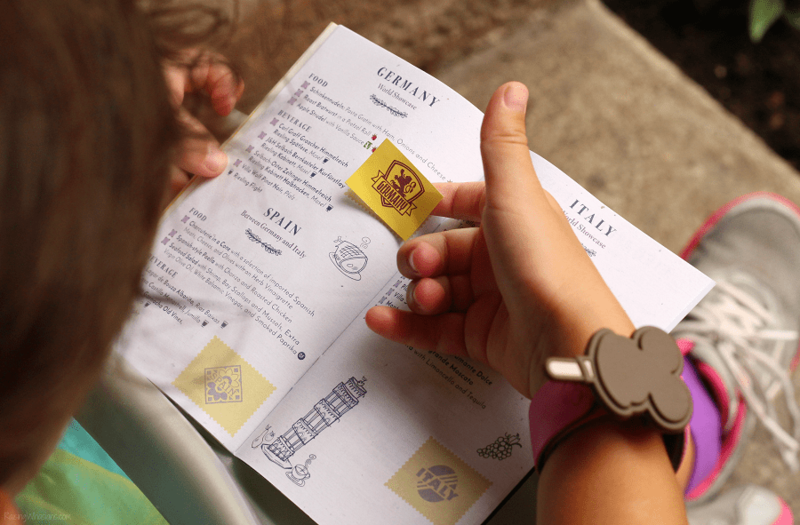 Your kids will love picking up their free Ziploc “suitcase” and then collecting stickers and trading cards from 11 countries. Your kids can color their cards and learn new country fun facts too. The SpectacuLAB – new to Innoventions, your kids will enjoy discovering their love of science through interactive experiments! 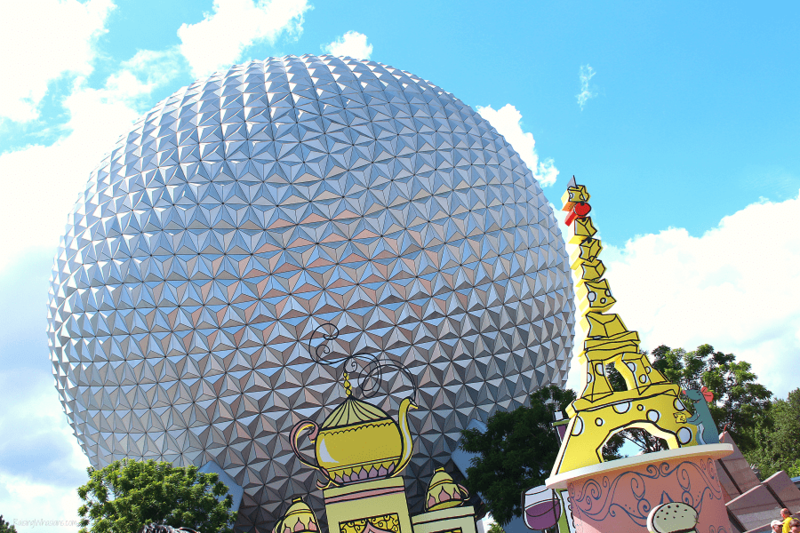 10 Epcot Rides and Attractions – Whether you’re a Soarin’ lover or a Mission: Space enthusiast, there are plenty of Disney attractions for kids to enjoy during the Food and Wine Festival too. Don’t forget to secure those 3 FastPasses for less wait times! Illuminations – Ending the night with a bang! Illuminations is definitely one of the best and most-loved Walt Disney World fireworks shows. Be sure to stay and see the night light up with lights, music and of course, lots of fireworks! 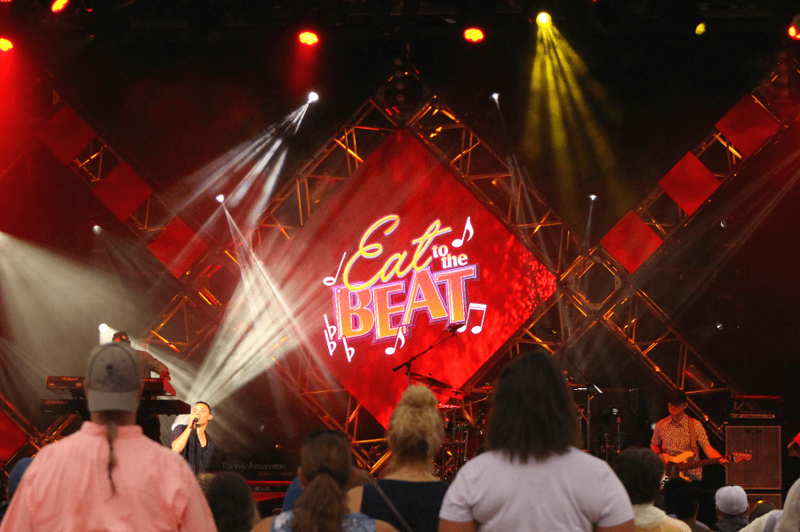 The 2018 Epcot International Food & Wine Festival is better than ever this year, with lots of great entertainment and activities for the whole family. Make plans to take the kids this year with these Epcot Food and Wine Festival Things to Do for Kids list and be sure to follow the fun with hashtag #TasteEpcot. 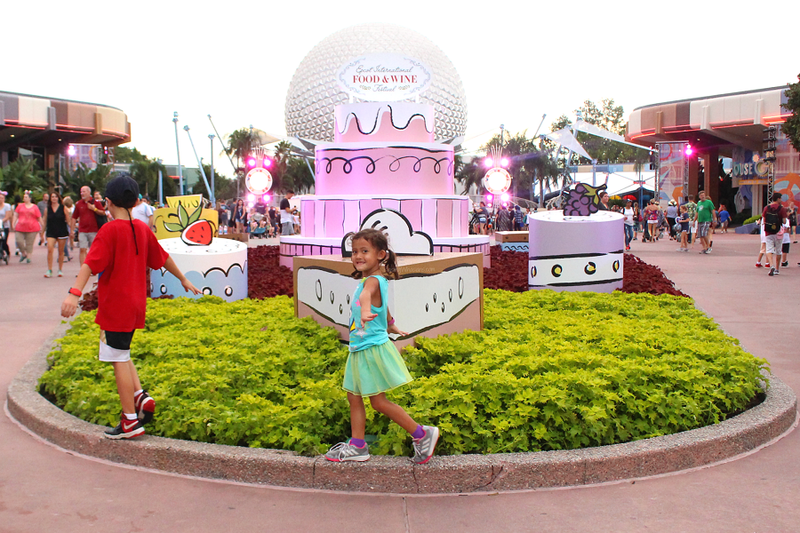 Which of these Epcot Food and Wine Festival Things to Do for Kids is your favorite? Any activities to add? I was invited to attend a media day in exchange for this Epcot Food and Wine Festival Things to Do for Kids post. Be sure to follow Raising Whasians via Facebook, Twitter, Google, Instagram, Pinterest and YouTube for family travel tips, easy recipes, kids crafts and more!